Our sacred purpose at St. Jerome Catholic Church is to become Holy Disciples on the path to heaven. In the midst of a welcoming community we learn the teachings of our faith by celebrating Word and Sacrament as we grow in our personal relationship with Jesus Christ. St. Jerome Catholic Church will give thanks to God for how the Holy Spirit is working in our community, making us disciples of Jesus. We will ignite and strengthen the faith of those we encounter, by being a welcoming parish that embraces the diversity of our community. As a parish, we will demonstrate our willingness to share our unique gifts of time, talent, and treasure. Others will witness our deepened personal relationships with Christ and recognize our firm belief that God has provided us with every blessing. 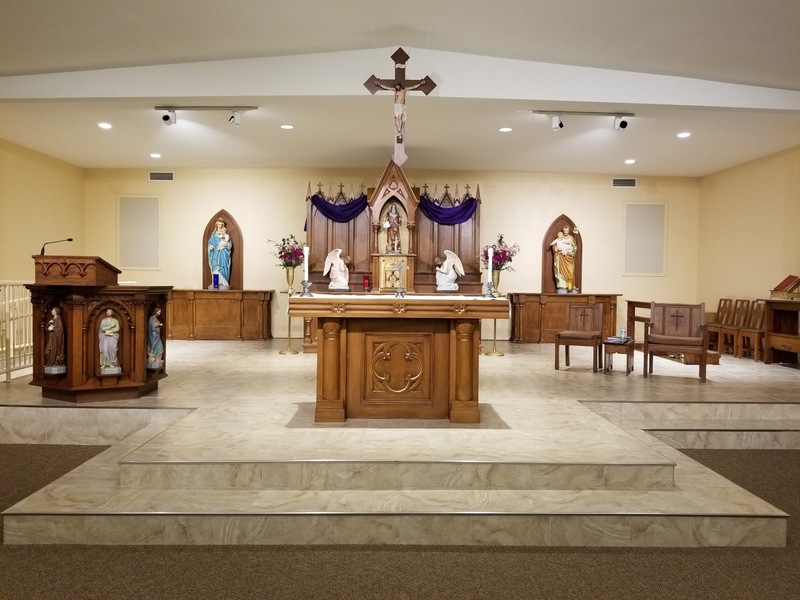 St. Jerome Catholic Church will support an increase in the number of active parishioners seeking to deepen their faith. Inspired by the Holy Spirit, our actions will ignite faith, build community, and make disciples. We will share in prayer, fasting and almsgiving. We will share our personal relationship with Jesus Christ with those we meet. We will inspire faith by providing a variety of formation opportunities so all can fully participate in the life of the parish. We will greet and acknowledge the presence of those around us at Masses and other parish events. We will promote an inviting environment to increase parishioner participation in the life of the parish. We will foster a culture of encounter where the invested, the inquiring and those on the margin meet Christ. Stewardship – We believe God provides us with every blessing; therefore we will care for and share the unique gifts God has given us. We will deepen our personal relationship with Christ through intentional times of prayer each day. We will make annual commitments to time, talent and treasure to enrich our spiritual lives. We will hold as a high priority that every ministry leader is formed to lead with excellence. We will promote the prudent use of our financial resources both personally and as a parish. The parish will provide financial transparency. 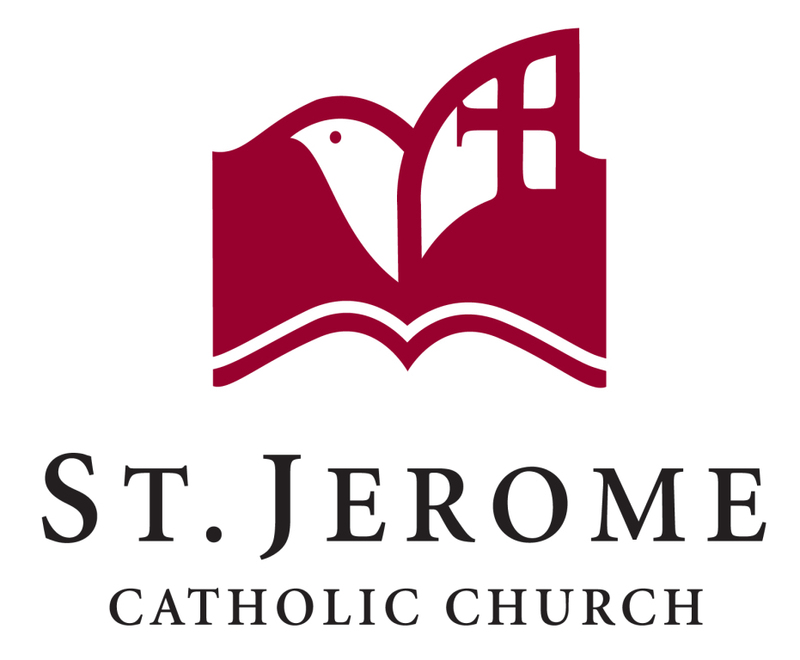 The St. Jerome logo incorporates a Bible in which St. Jerome translated most of his life. The logo also shows a dove representing the Holy Spirit. The dove carries forward our 50th anniversary logo from 2012 and in our old glass windows on the main entrance doors. The cross in the wing reminds us of our Christian beliefs and acts as a turning page of the Bible. Thank you to Joe Pinciotti and UP Design Group for designing a beautiful logo for our parish community.